A gift of exquisite taste and refinement! 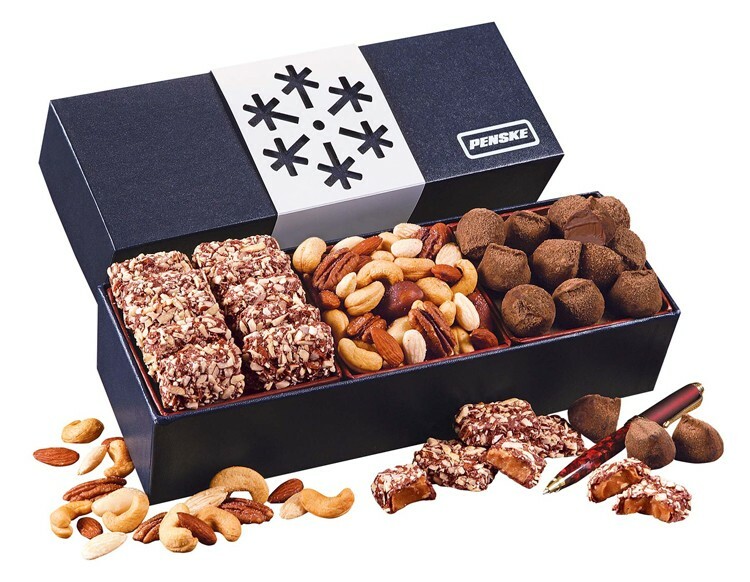 Here you will find three of the finest premium selections nestled within this stylish navy gift box… 12 pieces of English Butter Toffee made with plenty of dairy-fresh butter, incredibly smooth Cocoa Dusted Truffles, and freshly roasted Deluxe Mixed Nuts. Nearly one-pound of sweet temptation! Your logo is foil-stamped in white on the gift box.